Major warning for all fashion designers out there: a fraud stylist and editor has stolen thousands of pounds worth of clothes after tricking several designers and brands into sending out pieces, under the pretense they were for major magazine photoshoots. Arnaud Henry Mensan has posed as an editor of Dazed Media, and reached out to both emerging and well established labels to ask for pieces that he claimed would feature in Elle, Bullett, I-D, AnOther and Dazed. His Instagram claims he was named in Business of Fashion's 500 people shaping the global fashion industry list, which is false. 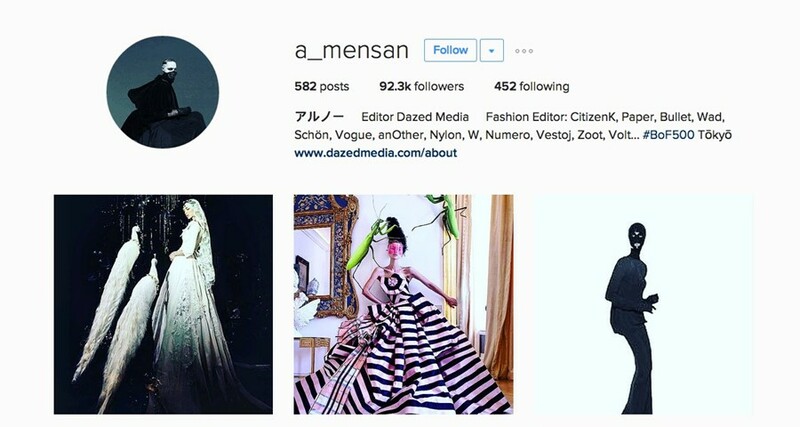 Representatives for Berluti reached out to Dazed to detail how Mensan had reached out to their Paris office, claiming he was planning photoshoots in Japan. He told the brand that the editorials were for AnOther and Dazed, as well as ‘soon to be relaunched’ Dazed Japan. None of these shoots were ever scheduled to take place, and Mensan is in no way affiliated with Dazed and AnOther. He also claimed to have pieces from Moschino, Vetements, Rick Owens, Balmain and Chanel among others. Berluti leased samples that are worth around £10,000 to the supposed stylist. After promising to return the samples, Mensan cut contact with the label. They have involved the authorities. Designer Sadie Clayton also spoke to Dazed after approximately £14,000 worth of samples were sent to Mensan for a Dazed and I-D Japan shoot. He called in four pieces in May 2016, and after engaging with Clayton across several months about sending parcels back and invoices to claim expenses from Dazed, he again cut contact. American designer Bradley Jordan and Barcelona-based designer Martin Across have also spoken out after they were scammed out of several pieces of merchandise. Designers are warned not to engage with Mensan, who has contacted labels from the email address arnaudhenrymensan@gmail.com. If you have had clothing and accessories called in by the fraud stylist and editor, get in touch at tips@dazedmedia.com.